Did you know that falls during winter are one of the most common causes of injuries in Canada? 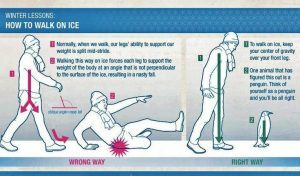 Now that our pavements and roads are a mixture of snow, slush, and ice, it is important to be extra cautious when walking. 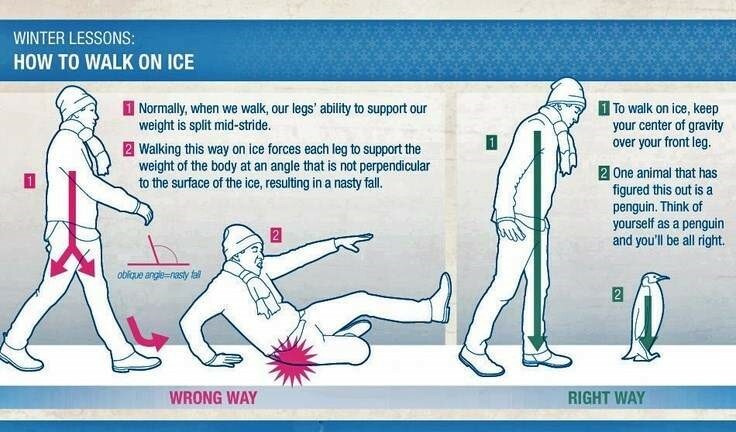 Check out the image above for a guide on walking on ice. We wish you all safe travels (be it walking, driving, busing, or more) during this icy season!